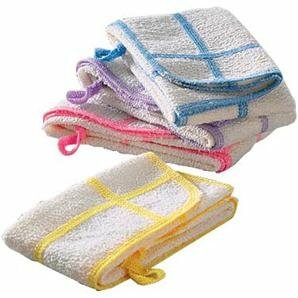 Made of Aquitex, this lightweight towel is highly absorbent. Comes in a breathable âsportâ mesh bag that is perfect for the gym or other outdoor activities. 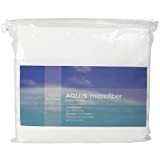 (#3343) Lightweight and luxuriously soft, this Aquis towel is created with ultra-fine microfibers that draw water faster, drying you more thoroughly than ordinary towels. 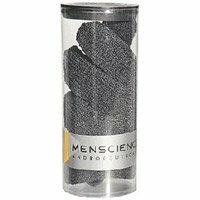 Gray to match our menâs Transactive shave line, this towel is especially gentle on the skin. 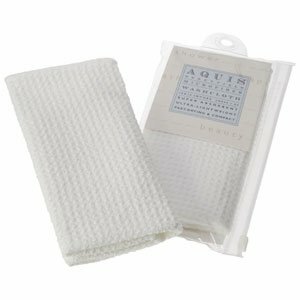 Benefits:Lightweight and luxuriously soft, this Aquis towel is created with ultra-fine microfibers that draw water faster, drying you more thoroughly than ordinary towels. Gray to match our menâs Transactive shave line, this towel is especially gentle on the skin. 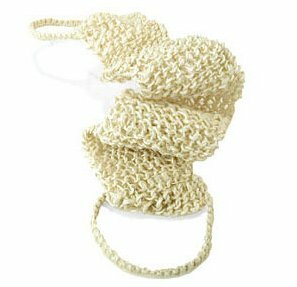 Easier to use than the standard wash cloth, the Body Buffing Mitt gently exfoliates while cleansing. (#3280) Body is left feeling smoother and looking polished after every shower. Benefits:Body is left feeling smoother and looking polished after every shower. 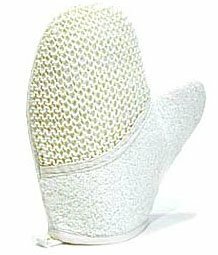 This mitt is perfect for gentle cleansing and light exfoliation everyday from head to toe. 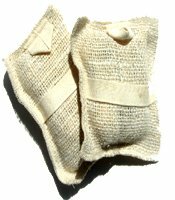 (#3095) Gently cleanse and exfoliate with this mitt, ideal for face and body. 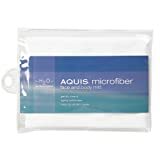 Made of Aquitex, a super absorbent material woven from ultra-fine microfibers, it is extra soft and absorbent and will not be rough on any delicate skin. 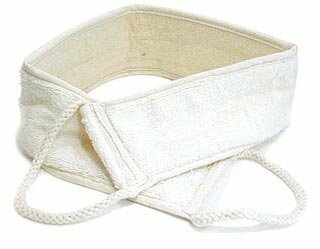 The quick drying fibers allow the mitt to stay fresh between washings. Additionally, itâs the perfect size for everyday use at home, the gym or on any of your travels. 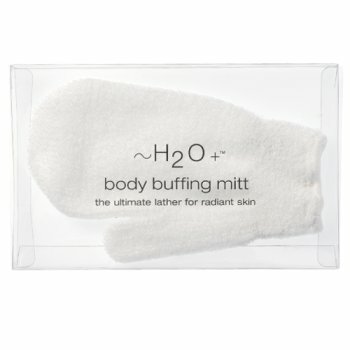 Benefits:Gently cleanse and exfoliate with this mitt, ideal for face and body. Made of Aquitex, a super absorbent material woven from ultra-fine microfibers, it is extra soft and absorbent and will not be rough on any delicate skin. The quick drying fibers allow the mitt to stay fresh between washings. Additionally, itâs the perfect size for everyday use at home, the gym or on any of your travels. Smooth, invigorated skin is just at your fingertips with these fun, exfoliating gloves! 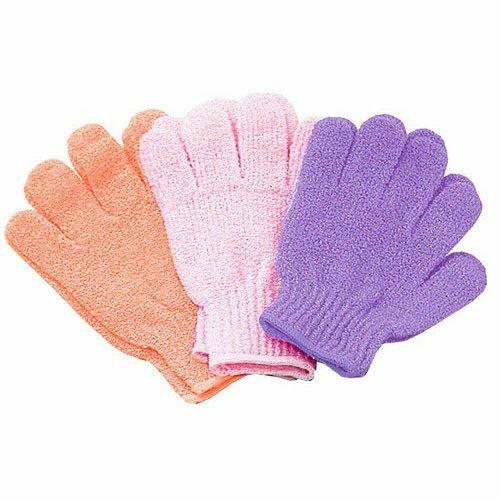 (#3072) Slip on these bright, cheerful gloves for a unique exfoliating experience. Massage away dead surface skin cells for smooth, polished skin. Benefits:Slip on these bright, cheerful gloves for a unique exfoliating experience. Massage away dead surface skin cells for smooth, polished skin. Use these functional gloves to smooth and renew your whole body. The process will leave your skin extra clean, soft and healthy-looking. Sloughs off impurities and dead cells. Wakes you up in the morning or revives you after a workout. Leaves skin smooth, invigorated and renewed. Sloughs off dull and damaged superficial layers that make skin look lifeless. Helps accelerate growth of new cells, making skin look fresh and buffed. Thorough cleansing for the whole body. Effective cleansing action removes embedded impurities and cleanses pores. Leaves skin feeling clean and refreshed. Creates a healthy, buffed appearance and balances skin tone. Immediate, highly noticeable results. Smooth, invigorated skin is just at your fingertips with these fun, exfoliating gloves! 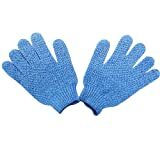 (#3071) Slip on these bright, cheerful gloves for a unique exfoliating experience. Massage away dead surface skin cells for smooth, polished skin. 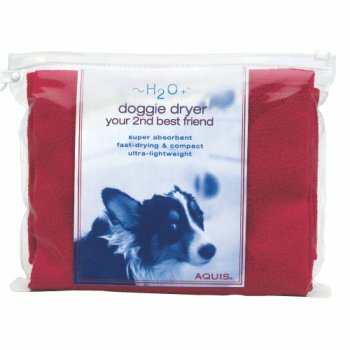 Wrap your doggie in warmth with this ultra-absorbent pet towel. Designed to keep coats shiny and healthy, this pooch pawsession is a must! 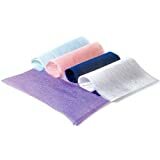 (#3113) Made of Aquitex, a microfiber material, this compact pet towel gently draws water from your petâs coat and wicks it away to dry hair quickly, reducing chills and discomfort while saving you time. Doggie Dryer is machine-washable in warm water. Ideal for dogs approximately 20-24" high and approx 55-65 lbs. Benefits:Made of Aquitex, a microfiber material, this compact pet towel gently draws water from your petâs coat and wicks it away to dry hair quickly, reducing chills and discomfort while saving you time. Doggie Dryer is machine-washable in warm water. Ideal for dogs approximately 20-24" high and approx 55-65 lbs. A highly absorbent towel thatâs lightweight and luxuriously soft. Youâll be dry in seconds! 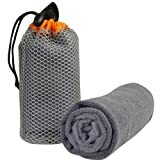 (#2022) Compact, but generously sized, this towel is perfect to use at home, while traveling, or at the gym. 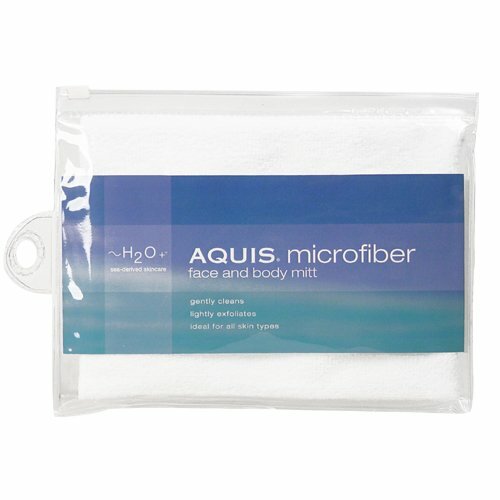 The ultra-fine microfibers draw water faster, drying you more thoroughly than ordinary towels. Made of Aquitex, it is especially gentle on delicate skin. 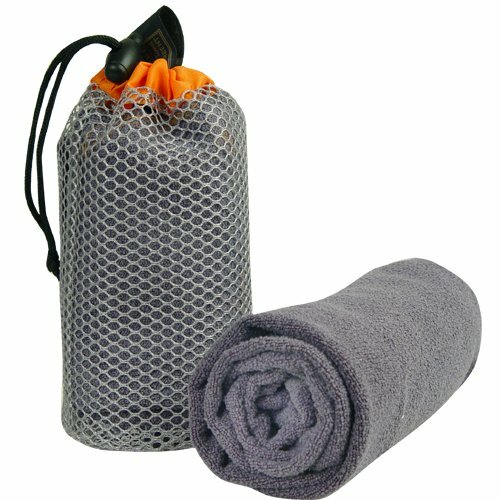 Benefits:Compact, but generously sized, this towel is perfect to use at home, while traveling, or at the gym. The ultra-fine microfibers draw water faster, drying you more thoroughly than ordinary towels. Made of Aquitex, it is especially gentle on delicate skin.